What Can the Ossining Chamber Do For You? 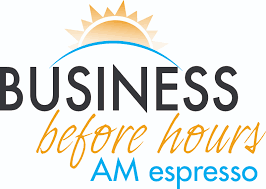 We are the voice of business in the Greater Ossining area. Our mission is to be a business resource to the community, provide educational programs to members and the public, and interface with local government on matters of concern to the membership. As a member of the Greater Ossining Chamber of Commerce you are aligned with businesses and individuals in an organization that is working to strengthen the economic vitality of its members and the community. Membership Renewal - Your Membership is Important to US! Working together for a strong and innovative 21st Century business community. 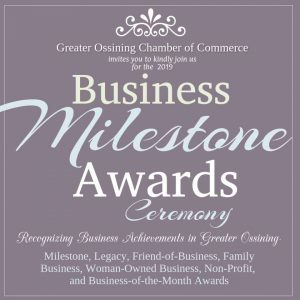 We will be Recognizing Business Achievements in Greater Ossining-Milestone, Legacy, Friend-of-Business, Family Business, Woman-Owned Business, Non-Profit, and Business-of-the-Month Awards. Join us on for our monthly morning networking meeting. Come for 10 minutes or 2 hours! Join us on Saturday. 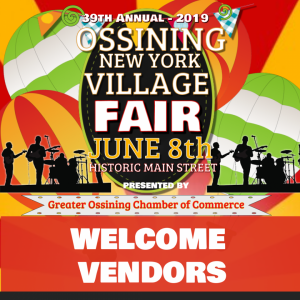 June 8th, 2019, from 10 am to 4 pm for the 39th Annual Ossining Village Fair. Loads of vendors, Traditional Fair Food, Artisan Food Trucks-Craft Beer and Wine Garden. Kids Games and Rides. This event always proves to be one of the finest Fairs in the Hudson Valley.